Planning for The S.E.A. 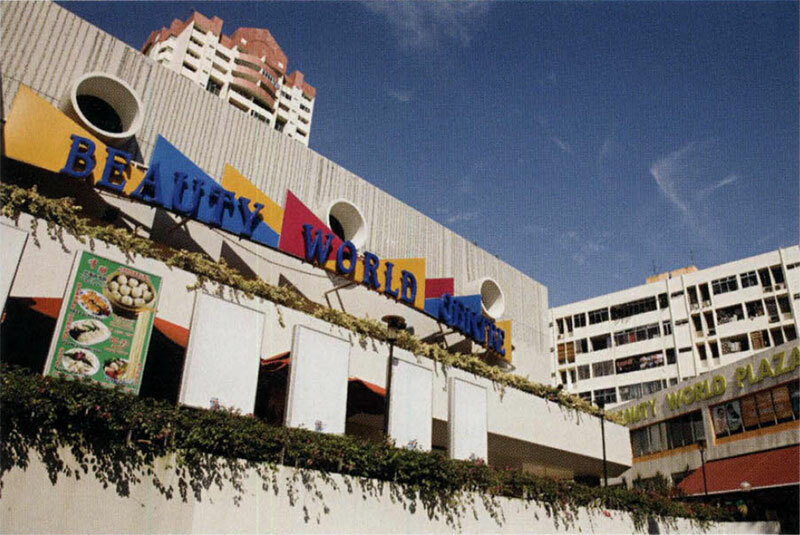 Aquarium began as early as 2006 when a partnership between Genting International and Star Cruises won the right to build a S$5.2 billion Integrated Resort on Singapore's Sentosa Island. 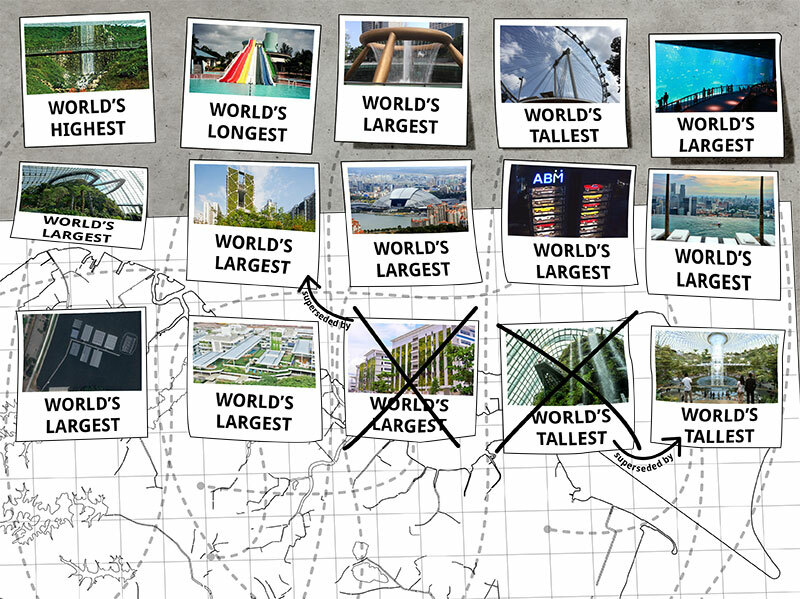 The winning project - Resorts World Sentosa - featured four themed attractions, comprising a Universal Studios amusement park, a water park, an interactive museum of maritime history, and a marine world with the world's largest oceanarium. 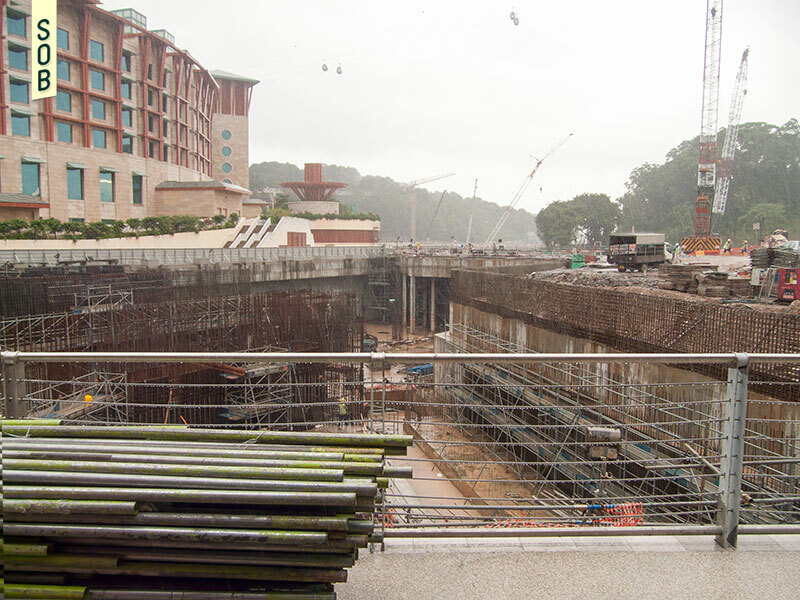 About a year later, demolition work on old buildings such as the iconic Sentosa Ferry Terminal began. 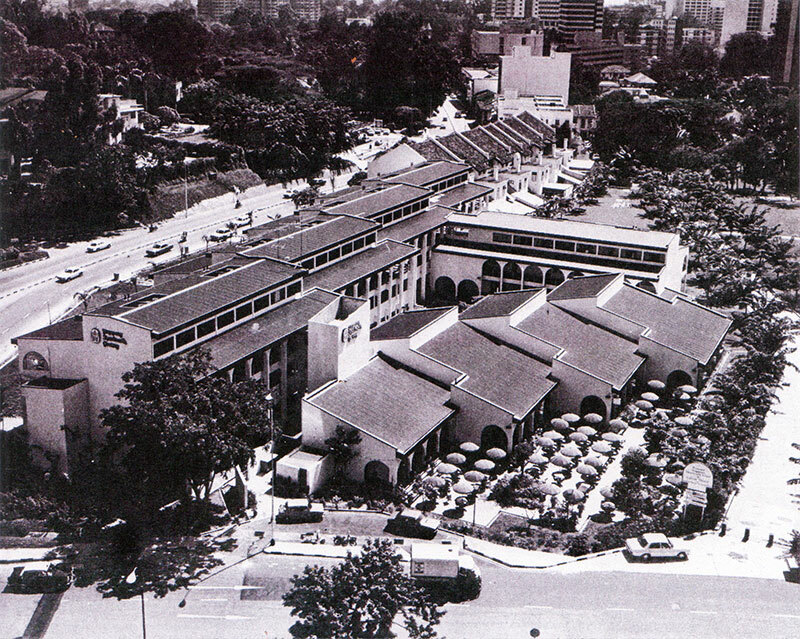 Asian Village made way for the S.E.A Aquarium and the rest of Marine Life Park. 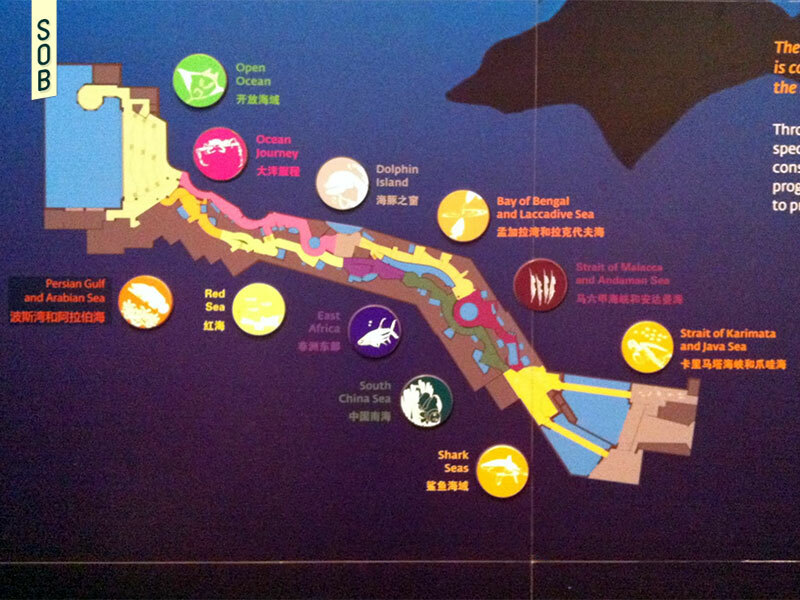 The theme park, Asian Village, intended to depict the spaces and cultures of 10 Asian countries was superseded by the 10 aquatic zones featured in S.E.A. Aquarium. Opening on 22 November 2012, the S.E.A. 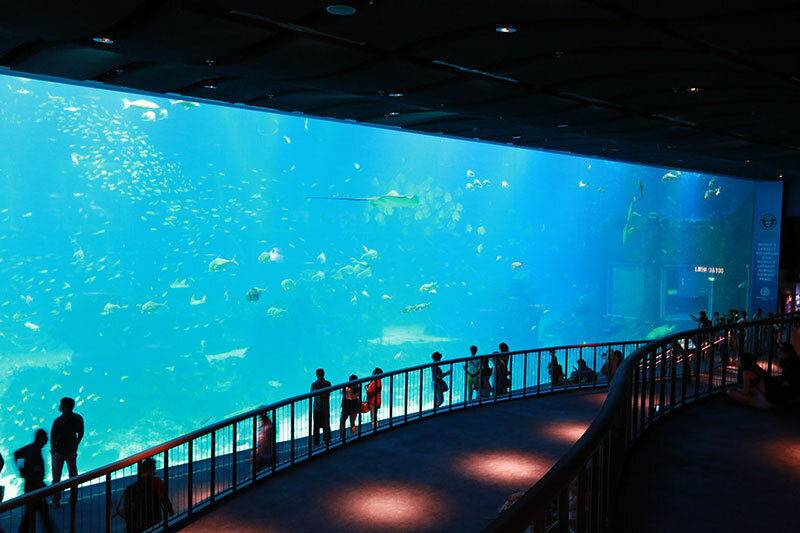 Aquarium contained more than 500 tonnes worth of acrylic panels, 45,000,000 litres of water, and 100,000 marine animals of over 800 species exhibited across more than 400 metres of viewing galleries. The S.E.A. Aquarium and the Adventure Cove Waterpark, together known as the Marine Life Park, were designed to operate on two levels. According to Aquarium designers Crossley Architects, the park provides two distinctly different and separated visitor experiences. Interactive encounters with dolphins, fish, rays and sharks occur at surface level, while the aquarium and its facilities are sited below. The entrance to the Aquarium is located at the basement level of the adjacent Maritime Experiential Museum, a themed gallery area which attempts to bring to life the Maritime Silk Road via life-sized historic ship replicas, shipwreck artifacts and interactive exhibits. When the S.E.A. Aquarium first opened, it was intended to be an extension of the Museum experience. The Aquarium featured 10 different zones, each related to a different ocean habitat. The experience of these different habitats in linear fashion, ‘replicate’ the sequence of travel that historical seafarers such as Zheng He and Marco Polo would have taken as part of their sailing routes between Asia, Africa, and beyond. 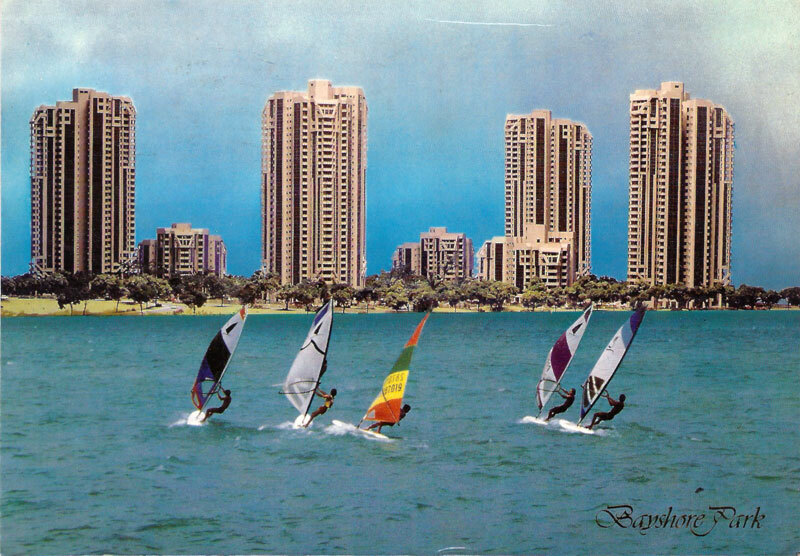 For that reason, zones had themes such as South China Sea, Persian Gulf and Arabian Sea, and Red Sea, with each zone featuring the aquatic life and ecology that can be found at those locations. Even though Genting and Star Cruises' successful 2006 bid touted whale sharks as the S.E.A. Aquarium's star attractions, plans for the captivity of these fish were scrapped in 2009 following outcry from local animal welfare groups. Society for the Prevention of Cruelty to Animals (SPCA) highlighted the limited available space for these huge animals that can grow to over 12 metres long, as well as their dismal survival rate in captivity. This lead to Resorts World Sentosa's admission that they may be unable to care for these fish and announced that the Aquarium would replace the planned exhibit with conservation-focused programming. In 2014, the S.E.A. Aquarium became an accredited member of the World Association of Zoos and Aquariums (WAZA), recognising its role in promoting conservation and public education. The membership places Marine Life Park under the same umbrella association with leading zoos and aquariums around the world, and will hopefully lead to greater global collaborations and put Singapore on the world map in marine conservation, education and research.